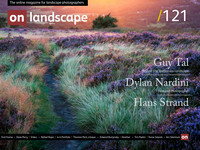 Landscape and outdoor photographer, based in Sheffield, UK. I'm sure we've all found ourselves in the situation where you see a photograph and your initial gut reaction is "you lucky lucky sod". Well, this is one of those images where you'd be forgiven for that reaction. If you dig a bit deeper, it doesn't get any better either - you're in Tibet in 1981 with your Nikon F3, a bag full of Kodachrome and a National Geographic expense account. You look in the mirror - staring back at you from beneath a shock of boyish wavy hair is a good-looking all-American guy bearing more than a passing resemblance to a young Robert Redford. Your name is Galen Rowell, and you've already carved yourself a reputation as one of America's leading outdoor photographers, having sold your small business hot rodding cars some nine years previously. And then mother nature drops this little beauty into your lap. You lucky, lucky sod. Of course, as with many great images, what seems like apparent luck and effortlessness disguises the knowledge, skill, and hard work that has gone into creating the image. "Rainbow Over The Potala Palace" doesn't have a complex composition, creating order from chaos, or much navel-gazing value, but the fabulous conceit here is that what looks like a simple image has a fantastic back story and one that we can take a few lessons from. I drifted into photography at about the same time as Galen Rowell's tragic and untimely death alongside his wife in 2002 in a light aircraft accident. After taking up photography more seriously, I found myself reading Rowell's seminal book 'Mountain Light' on the recommendation of a friend. This was my first encounter with "Rainbow Over The Potala Palace, where Galen takes us through the story of how this image came about (it's also on the cover of his earlier book 'Mountains Of The Middle Kingdom'). The book was pretty influential on my outlook on photography and this image always stood out, for the approach and process as much as the final result, with a few clear lessons to take from it.